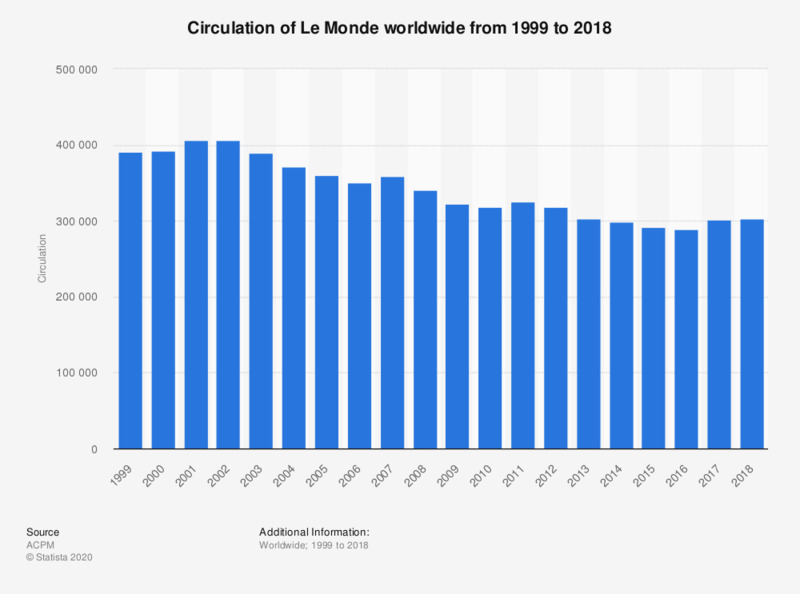 This timeline shows the average circulation of the French daily Le Monde from 1999 to 2018. In 2018, the newspaper sold on average 302.62 thousand copies daily, up from 301.53 thousand in the previous year. The newspaper launched its paywall in March 2010. No publication date provided by the source. The date given is the access date. Figures for the period 1999 to 2008 were taken from a Wikipedia article.